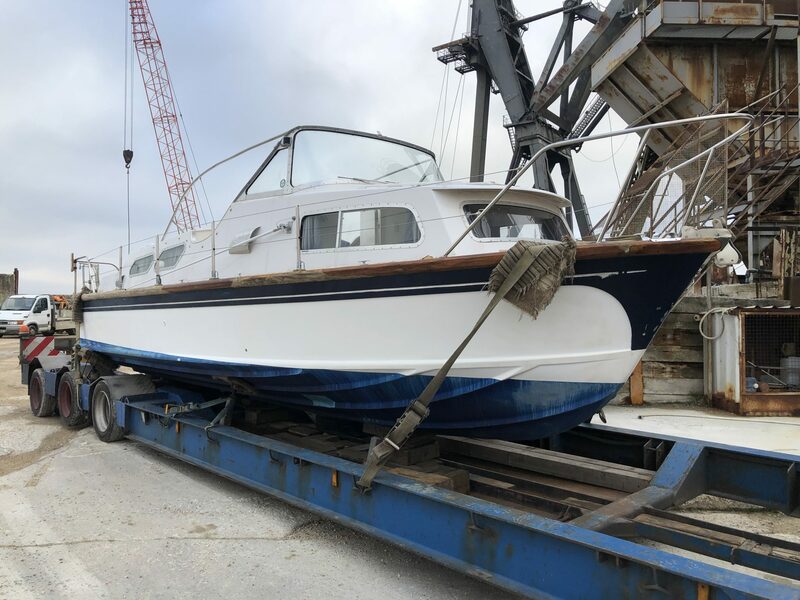 A Dell Quay Ranger 27 arrived in the yard today for disposal. 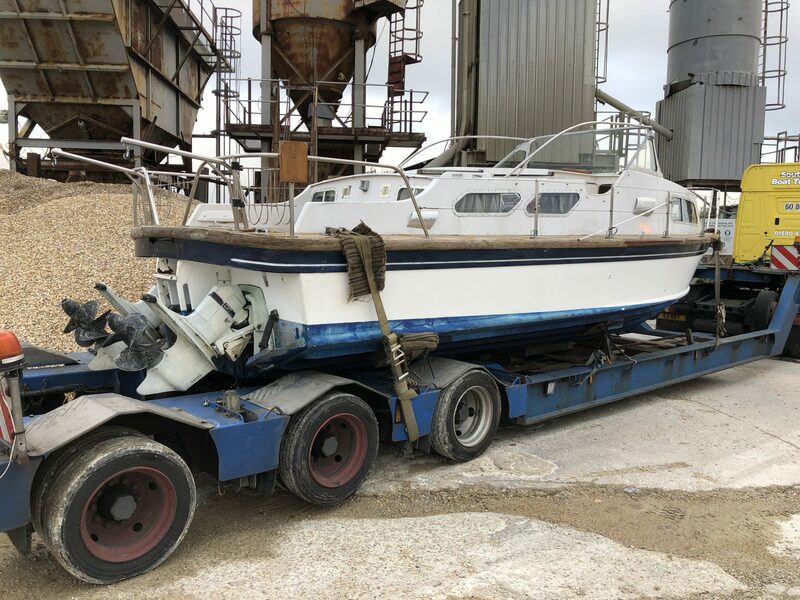 If you are looking for parts for a Ranger 27 please get in contact fast as she won’t be around for long. 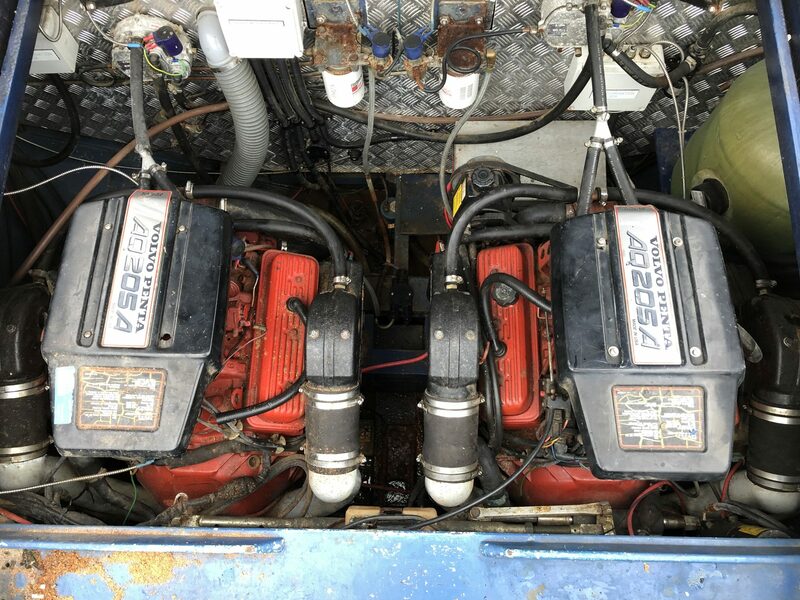 This classic Dell Quay Ranger 27 came to us as her former owner couldn’t keep up with the work needed to maintain her. 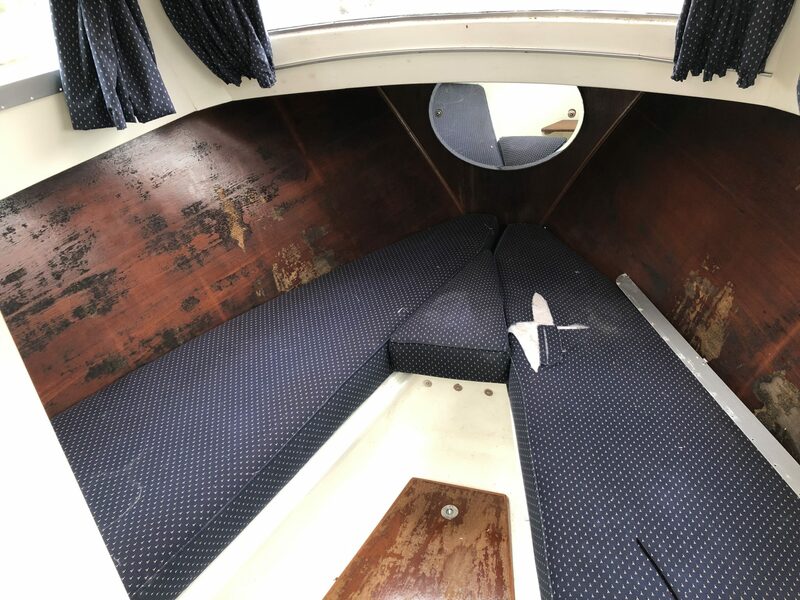 There are areas in her transom where the wood is soft or rotten and this will need replacing. 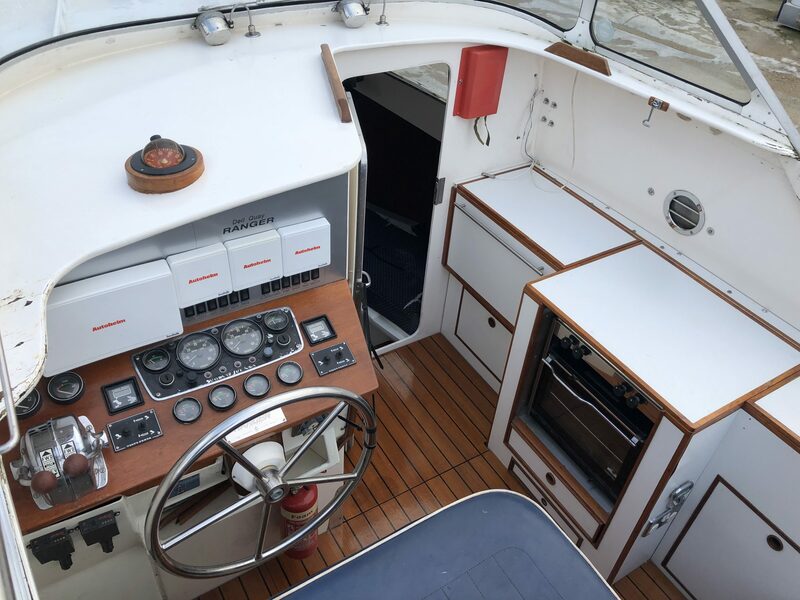 Most of the boat’s interior is in good condition, including her two Volvo Penta AQ205 Engines which are converted to run on LPG. 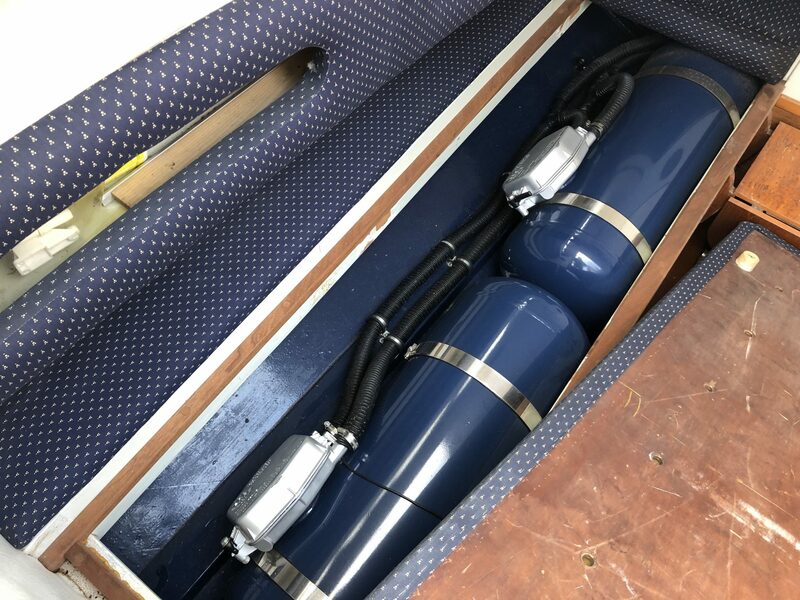 The two outdrives also have duo-props which help to give the boat plenty of power. Her former owner told us the engines run well, however we can give no guarantee. 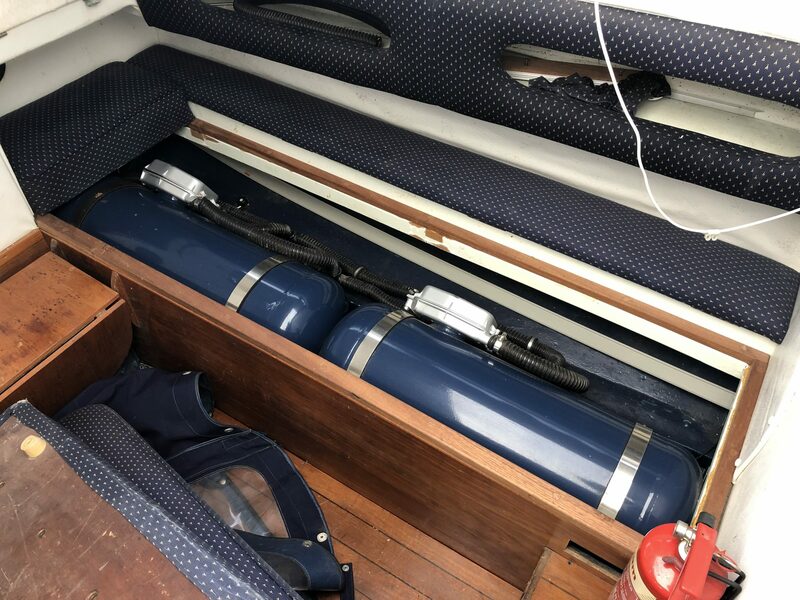 Other features include: 4 New LPG fuel tanks, fitted cockpit cover, navigation equipment (untested), heads, cooker, and sink. She really is a fantastic looking boat and we are trying to give her one last chance to be saved before she is scrapped. 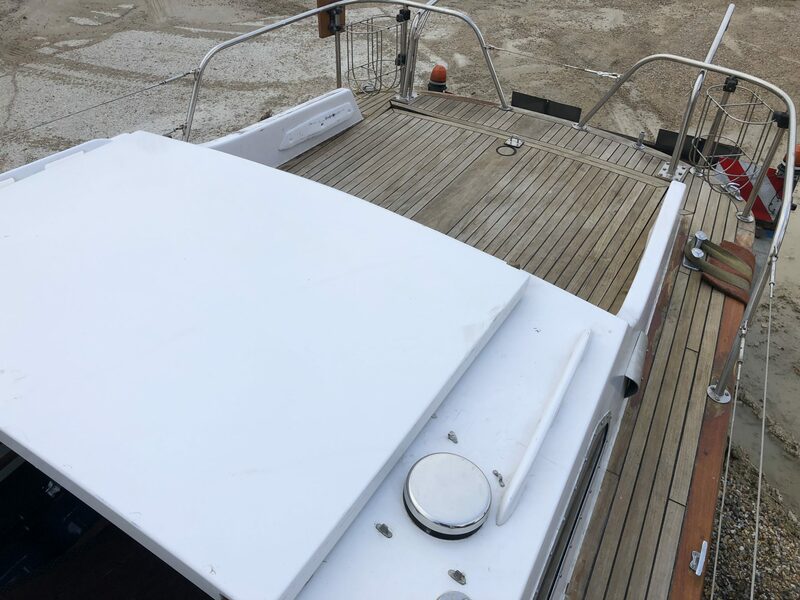 If we do scrap her we intend to remove the two Volvo Engines, the brand new fuel tanks, deck fittings, davits, steering wheel, the throttle mechanism and any other interior fittings that can be salvaged. Call 02392 984666 for parts!